[INQ. NO. 1502E07] AJ World was founded in 1987 under the slogan of “The Future is Now” and is now one of the leading suppliers for outside plant equipment in Korea. AJ World in now expanding into optical transmission equipment as well as all products related to FTTH solutions, and acquired ISO9001,TL9000 and ISO14001 in order to develop high-quality management, strengthen its specialties, and also maximize its competitiveness in the local market. AJ World’s flagship product “field assembly optical connector” offers convenience in assembling and strong stability. It allows simple optical core connection without any additional practices, or adhesives. It does not require a working space by connecting itself in challenging environments such as to a telephone pole and a manhole. It reconnects the cables and reduces the connection defect rate by an installer error in the field. Its convenient way of reconnecting the fibers reduces errors in the field. The connecting tool is embedded in the product that does not require additional assembly tools. This mechanical connection is easy to assemble using no additional power or practices. It’s simple assembly process allows a beginner to assemble easily (Consuming time to assemble: within 90 seconds). And its small size offers convenience of being applied to an outlet. AJ World is striving to be the best for one-hundred percent customer satisfaction and to be the telecommunication market leader. AJ World was founded in 1987 under the slogan of “The Future is Now” and is now one of the leading suppliers for outside plant equipment in S. Korea. AJ World in now expanding into optical transmission equipment as well as all products related to FTTH solutions, and acquired ISO9001,TL9000 and ISO14001 in order to develop high-quality management, strengthen its specialties , and also maximize its competitiveness in the local market. AJ World’s flagship product field assembly optical connector offers convenience in assembling and strong stability. It allows simple optical core connection without any additional practices, or adhesives. It does not require a working space by connecting itself in challenging environments such as to a telephone pole and a manhole. It reconnects the cables and reduces the connection defect rate by an installer error in the field. Its convenient way of reconnecting the fibers reduces errors in the field. The connecting tool is embedded in the product that does not require additional assembly tools. This mechanical connection is easy to assemble using no additional power or practices. 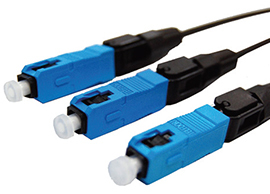 Korea Optron’s field assembly optical connector (FAOC) is the most widely used fiber optic connector in FTTx that does not need epoxy or polishing. It enables fast and on-site installation of 250um, 900um, 2.0mm, 3.0mm and 1.6mm x 2.0mm, 2.0mm x 3.0mm cable type connectors even when the user has no accesss to power. Two or three pieces of the preassembled and factory terminated connectors can be installed within one minute using simple tools and can be recycled several times. It accommodates a reliable and durable optical network especially suitable for advanced fiber optic systems requiring execeptional stability and low loss. 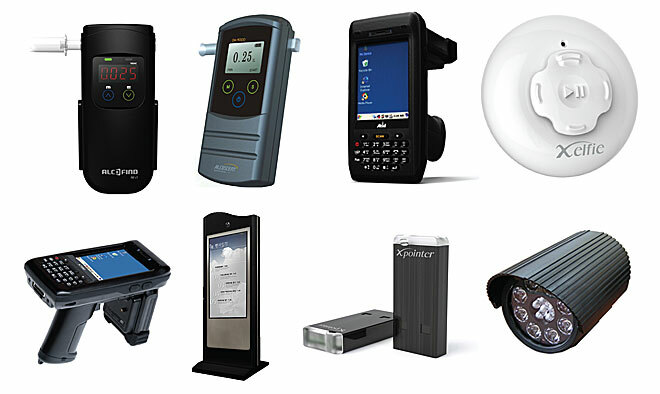 Korea Optron’s FAOC has been recognized as a “World-Class Product” by the Korean Government. 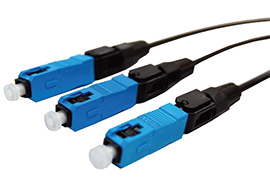 Korea Optron has, so far, supplied field assembly optical connectors, optical patchcords and other passive optical components to KT (Korea Telecom), SK broadband, and Samsung Fiber Optics as first vendor. 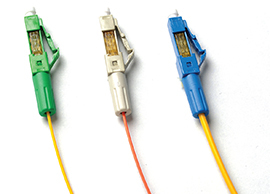 Korea Optron has also been exporting the fiber-optic components all over the world. And based on its rich resources of human, knowledge and experience, Korea Optron has developed new MPO products with Korea Telecom and continued to make efforts to satisfy its customers with high value-added products in the field of fiber optics.